A love of drams and a nation’s thirst for the spirit has inspired an Israeli entrepreneur to develop plans to establish the first dedicated whisky distillery in his native country. 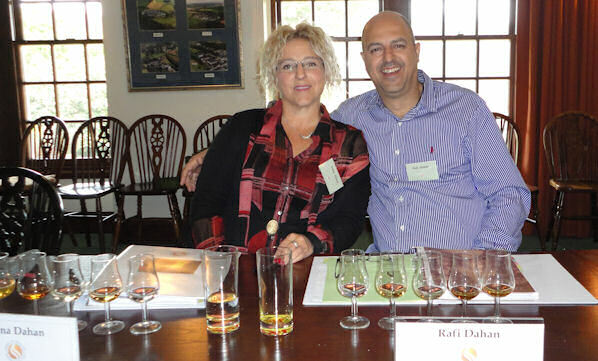 While thousands of visitors from all over the world prepare to descend on the malt whisky capital of the world for the 16th Spirit of Speyside Whisky Festival from April 30 to May 4 this year, Rafi Dahan and his wife Dafna hope to be overseeing the start of construction on Israel’s first distillery to produce only whisky. Israel’s home-produced Kosher whisky will be stored in wine casks in cellars underneath the Dead Sea and the water of life could begin to flow as early as 2020. The couple got a taste for whisky a few years back after a Scottish member of their Synagogue introduced them to a selection of drams. Each Saturday he would bring along a different whisky to taste and the pair acquired a real love of whisky, it becoming their drink of choice. As a real estate developer, Rafi (48) is always keen to seek out new ventures so researching the whisky industry and finding no producers in Israel, yet an increasing demand for the product, made him explore the possibility of going into production himself. That led the couple on a journey to the Spirit of Speyside Whisky Festival two years ago. Thanks to a late cancellation, they secured places at the festival’s prestigious whisky school, and found the programme excellent. They made the most of their trip to Speyside by attending a wide variety of whisky festival events and tasted more whiskies during those 10 days than they had in the course of a year! The trip also made them determined to produce quality whisky. They have now visited40 distilleries all over the world, and have had negotiations with specialist suppliers from many different countries in order to equip their distillery. Rafi says that he plans to supply the Israeli and Jewish markets initially, but with an ambition to produce good whisky, he hopes that his produce will one day be available to buy in Scotland. Rafi says: “I ordered a report into the Israeli Alcohol Market and I was shocked to discover that whisky market has increased by 7% every year since 2008, yet vodka and other spirits are going down. The whisky market in Israel per year is worth approximately $200 million and everything is 100% import. “I asked myself how come nobody has opened a distillery in Israel? My thoughts are you have to be old enough to love whisky, you have to be wealthy – no bank will finance this business plan - and you have to be crazy on whisky, as well as having the dream. “This will be the first and only whisky distillery in Israel. We decided that the whisky will produce will be Kosher Whisky, the process to be supervised by Rabbi and the maturation will be in Kosher wine casks. The site will include a distillery, offices, visitor centre, distillery shop and coffee shop along with maturation building and gardens, but the name of the distillery and its product is being kept under wraps meantime. With more than 350 events, the Spirit of Speyside Whisky Festival includes a range of specialist tours, tastings and experiences that prove popular with whisky enthusiasts, as well as crafts, walks, music, folklore tours and dinners all set within the Speyside region. 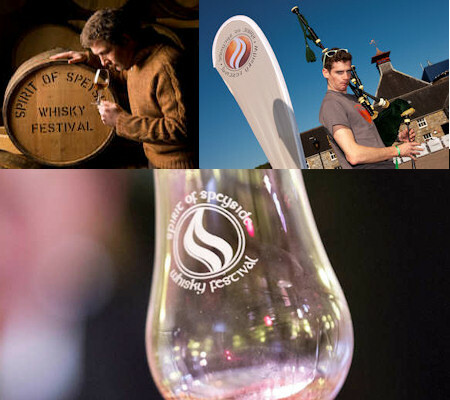 Tickets for all events in the 2015 Festival programme can be bought via the website – www.spiritofspeyside.com The Festival is also active on social media – facebook.com/WhiskyFestival and @spirit_speyside on Twitter.